Protect the people of Utah. This is a big deal for the Utah Attorney General’s Office and one of its core functions. Domestic abuse, human and drug trafficking, sexual assault, crimes against children – the list of crimes that destroy our families and neighborhoods goes on and on. No matter what it is, our team of investigators and prosecutors work hard to remove from our communities those who would seek to take advantage or do us harm. Here’s a highlight of the last several weeks looking at the Office in action. 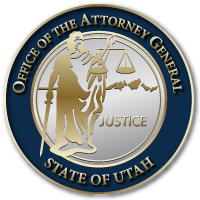 This entry was posted in Recent Posts and tagged AG Investigations, Drug Trafficking, elder abuse, ICAC, identity theft, Utah Attorney General on November 13, 2018 .